I have no idea why I don’t eat peanut butter more often because every time I do I totally love it. My kids probably eat peanut butter once a day. I don’t know if that is due to convenience or the fact that they love it as well. So one early afternoon I decided I wanted to have lunch. I wanted something Thai, but nothing that would take too long, plus my appetite was not all that fierce due to the cancer treatment I have been going through. Looking through the pantry, I noticed some really good and hearty bread that I had bought for my wife, that delicious creamy peanut butter, some Thai infused honey, and then some Thai bird chilies. 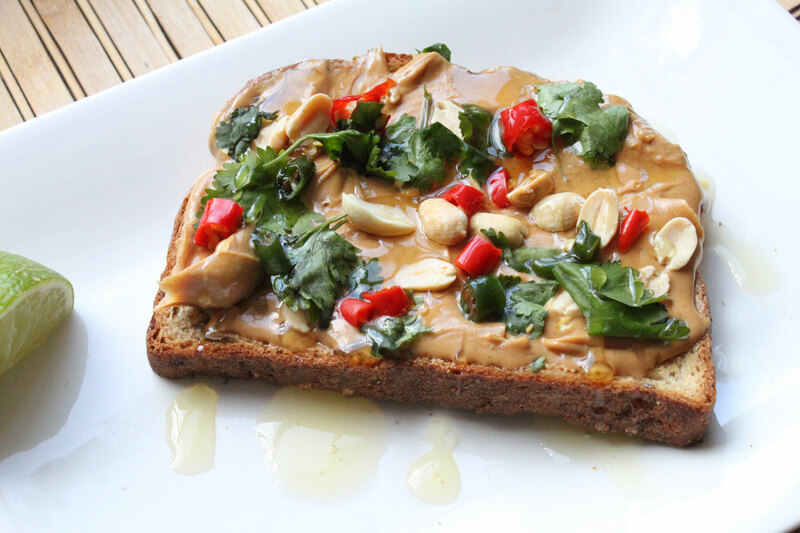 I knew that I would get the best of everything by creating what I call Thai Peanut Butter Toast. Whoa is this every good. I could have stopped at just peanut butter toast with a drizzle of that honey but I wanted to go further, and boy was I glad I did. It doesn’t get any easier to make. 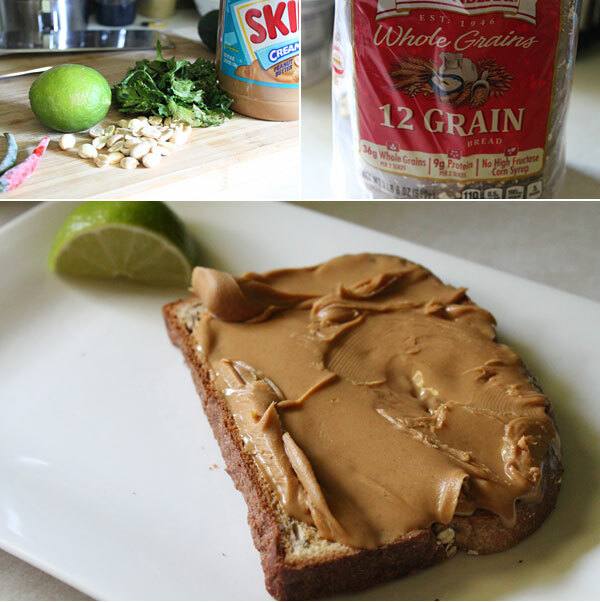 Take your peanut butter and lather it onto your slice of toast. Sprinkle on the peanuts, Thai chilies, cilantro, and honey, and squeeze the lime juice over the top. The result is everything I love about warm toast and creamy peanut butter. You know… when it drips down your hand? Then you get these pops of awesome spice from the chilies, freshness from the lime and cilantro, and that texture from the roasted peanuts. This is a real winner, especially if you like a bit of spice. Feel free to reduce the chilies to one if you desire, or remove the seeds from them, but the balance of flavor is a tough one to compete with on this awesome snack. I’m in. Thank you 🙂 !